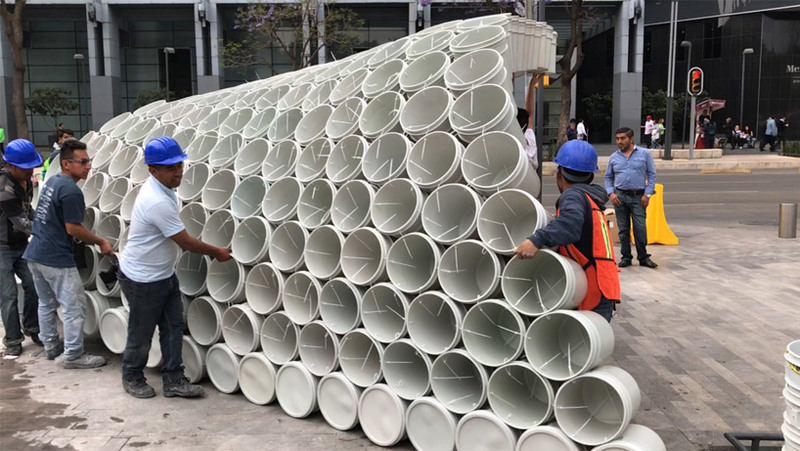 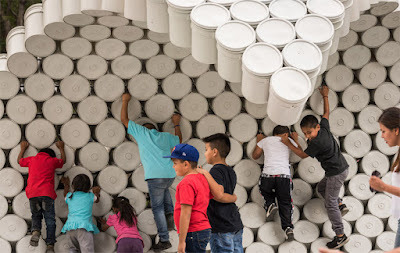 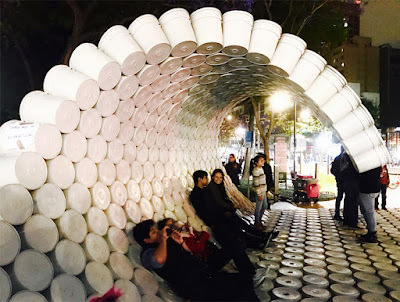 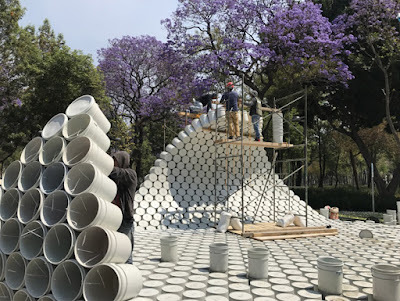 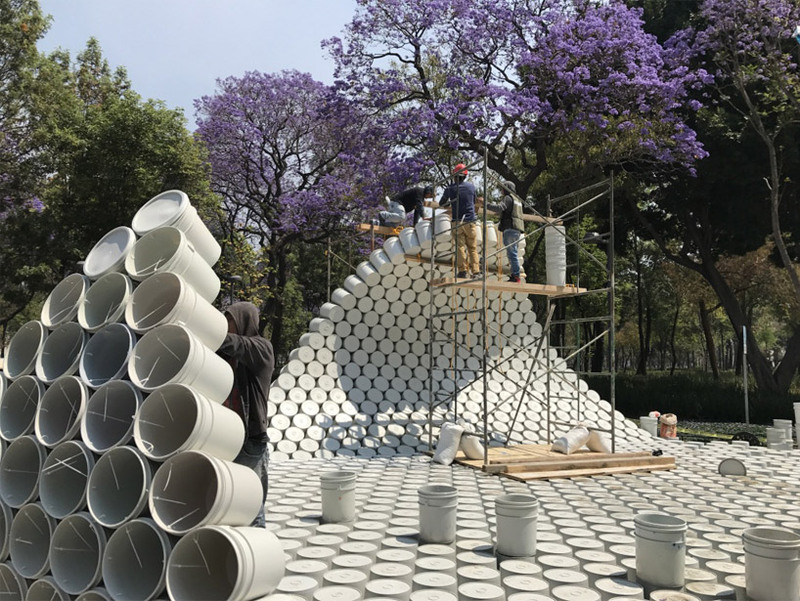 Temporary pavilion by Factor Eficiencia & 5468796 Architecture in Mexico. 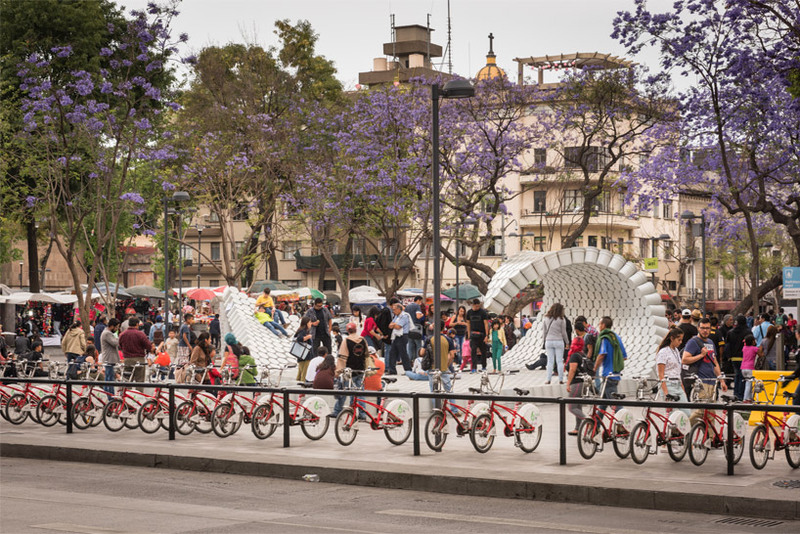 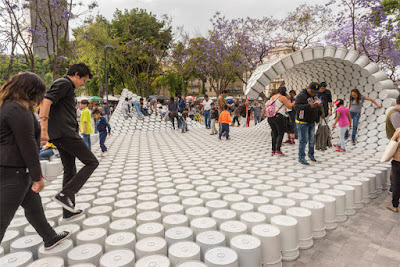 This collaborative project, developed within the 2017th Mextropoli, highlights the liberal enjoyment of public space in Mexico City’s unique yet contentious urban environment. 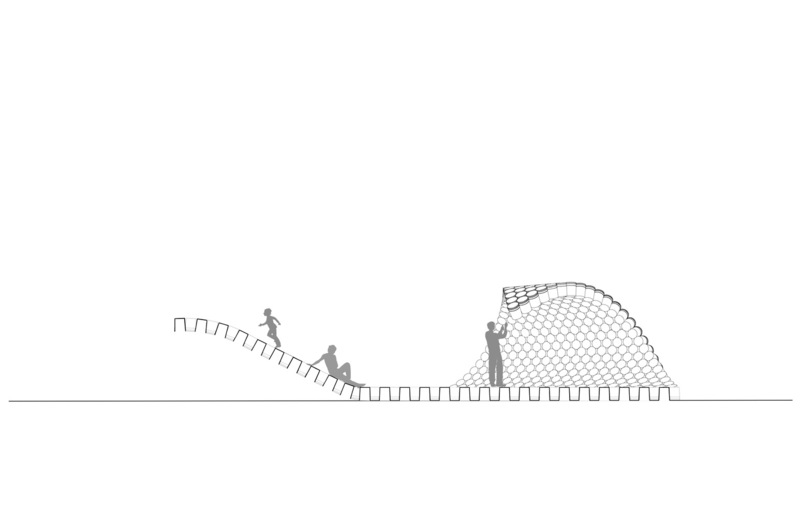 The malleable surface of the wave encourages people to freely explore as they wish, be it sitting, running, playing, standing or lounging. ironically, painter’s buckets are used as the building blocks for this liberating pavilion, and with their intertwined structure, can be manipulated like a giant carpet to form many different shapes.